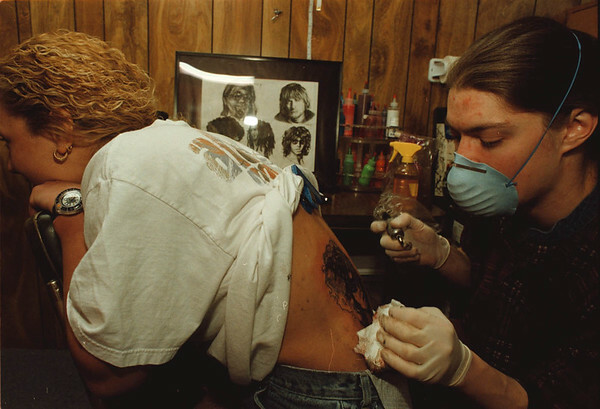 1/29/97-- fantasy tatoo--Takaaki Iwabu photo-- Tatoo artist Wally Willson inks in Kelli Wrobel's back at Fantasy Tatoos on Niagara Falls Blvd. Wednesday. A 18-years-old woman from Niagara Falls said she is getting a tatoo of Jim Morrison because she loves him.